Anyone watching Miss Lucy Honeychurch and George Emerson at the window overlooking Florence, in the film based on the novel by EM Forster, will agree that the phrase ‘room with a view’ changed forever. The sumptuousness of the film, and the quintessentially British account of romance, intrigue and beauty, resulted in the phrase’s association with far more than the view alone. 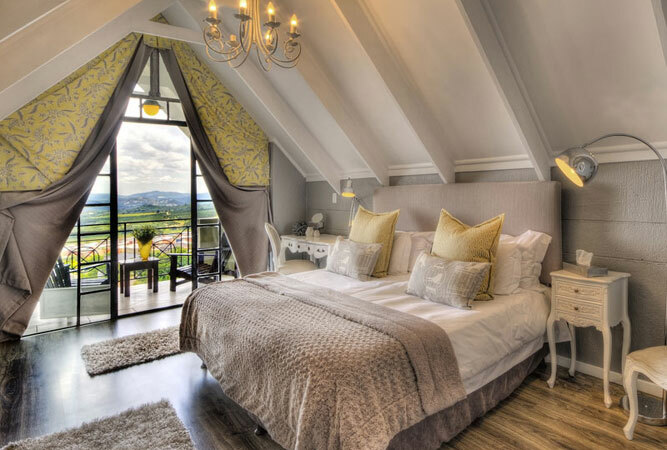 In keeping with this idea that a room with a view is about all things romantic, we have handpicked a selection of rooms with views throughout South Africa. A view with a difference, this time of the Langeberg Mountains and the bush. 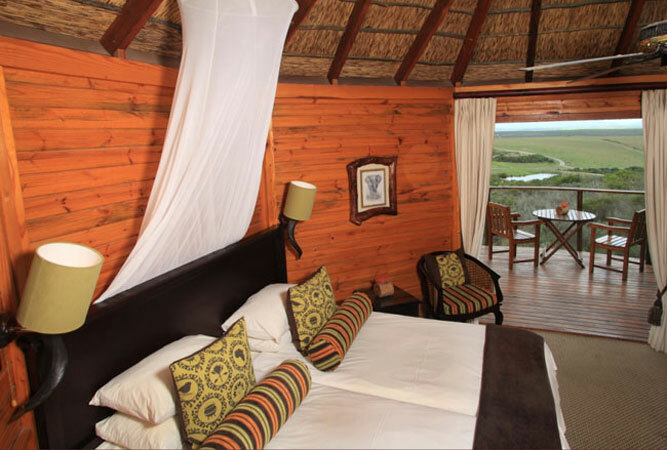 The lodge offers a series of thatched chalets, each with its own wooden deck, set on a rise in amongst the bush and trees, and linked to the lodge via a boardwalk. 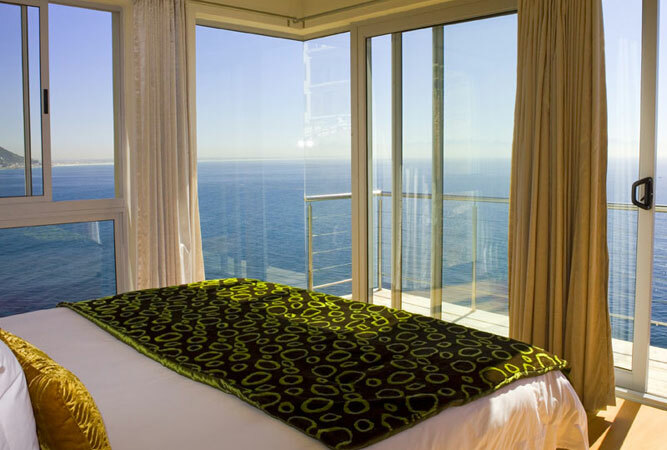 Sea views from your bedside, a large rim-flow pool with vistas across the Atlantic and unique décor make this boutique-style accommodation in Camps Bay priceless. 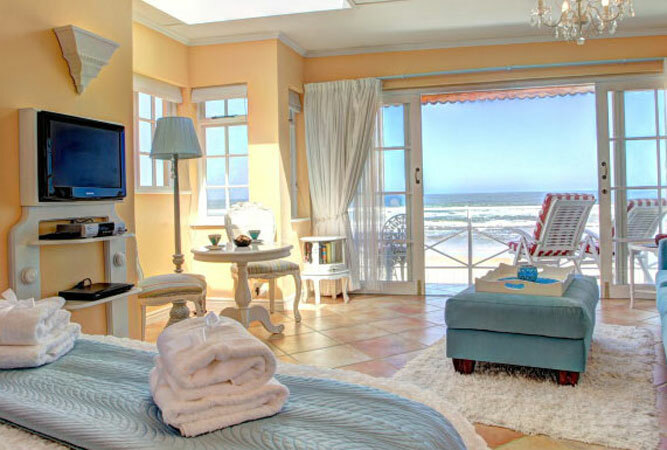 This self-catering villa rests perched on the cliff face overlooking the bay of Fish Hoek, minutes away from Fish Hoek’s main beach and Jagger Walk. There is literally nothing between you and the sea. During the whale season we could not imagine a more enviable position. Any closer to the sea and you might end up with a whale in your bath! 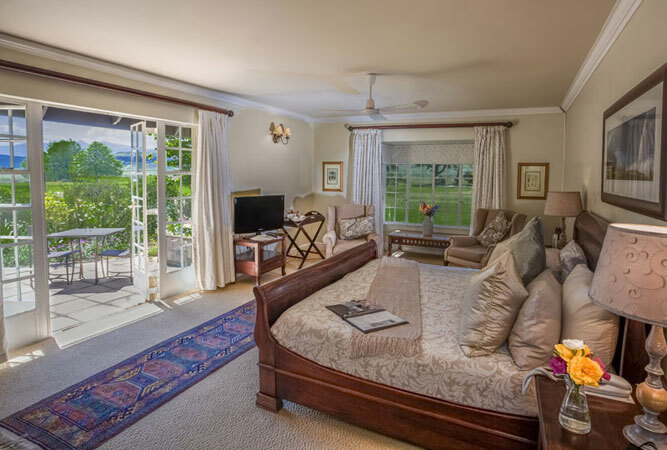 This beautiful guest house offers views not only of the ocean but of the surrounding mountains too; the terrace a space on which to relax and watch sunsets over the Atlantic. Uninterrupted views out towards Hodgsons Peaks across elegantly cultivated gardens are yours for the picking at this manor house in the foothills of the Drakensberg. The gardens are extensive, the décor elegant, and the promise of snow-covered peaks in winter a bonus. 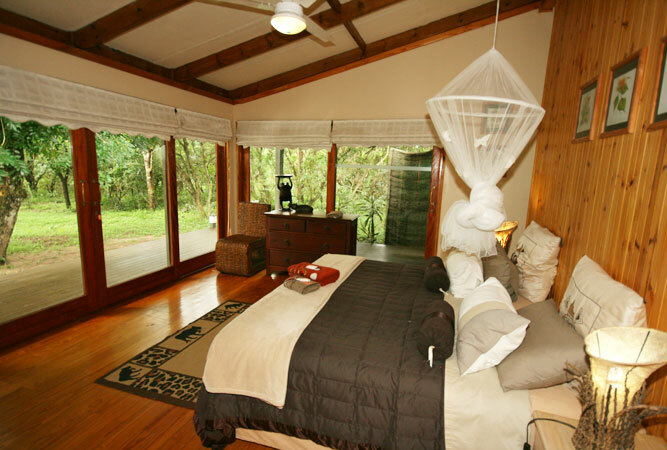 Wood and glass freestanding lodges in the heart of a private game reserve give you unrivalled and unhindered views of the bush from your bed. No predators make the idea of falling out of bed and straight into the bush possible, and the bird life and extensive network of walking trails are a must. 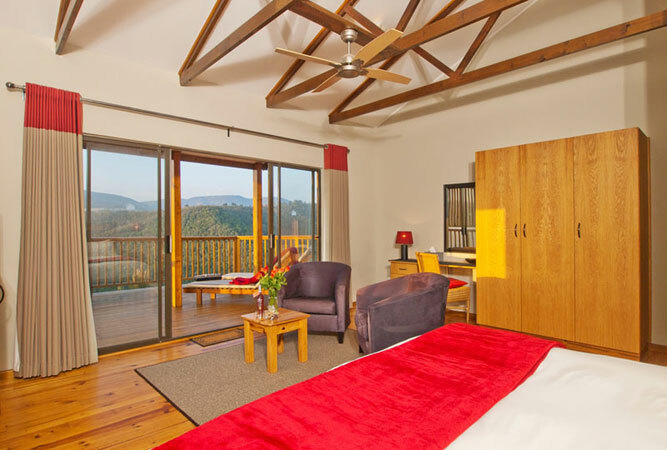 This luxury self-catering timber chalet literally perches on the edge of a steep drop into a forested valley below, with unspoilt and sweeping views of the Outeniqua Mountains. 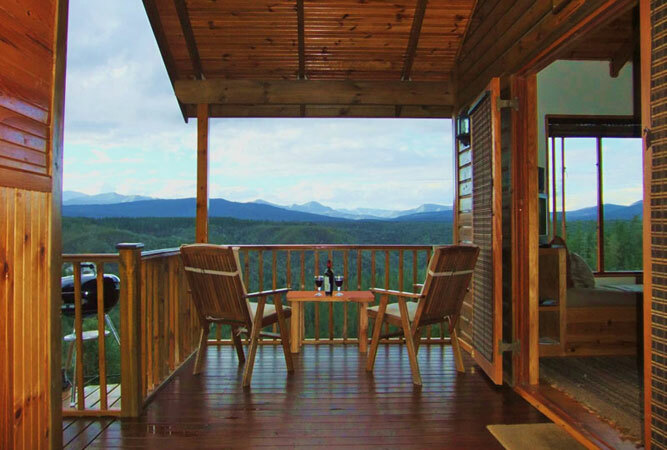 For lovers and nature lovers this spacious one-bedroom cottage offers privacy and incredible views. 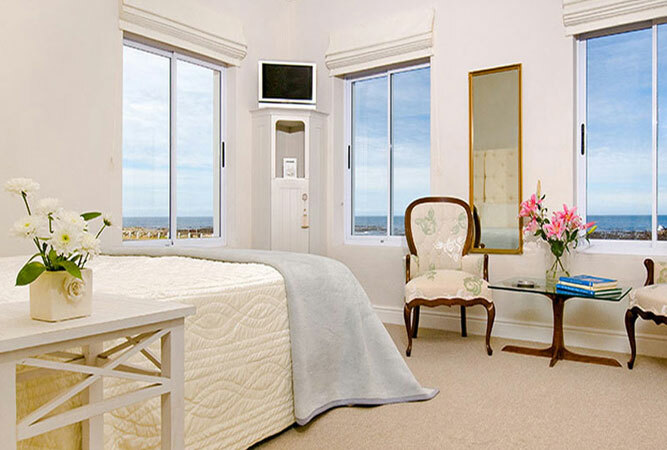 Stylish, ocean-facing luxury units virtually on the beach. 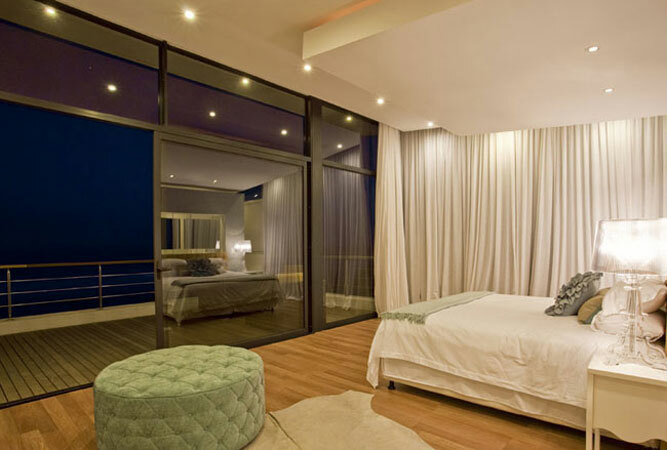 Think individually decorated bedrooms, each with their unique signature look, a chaise lounge on the deck overlooking the sea, and undulating lawns that lead right down to the water’s edge. 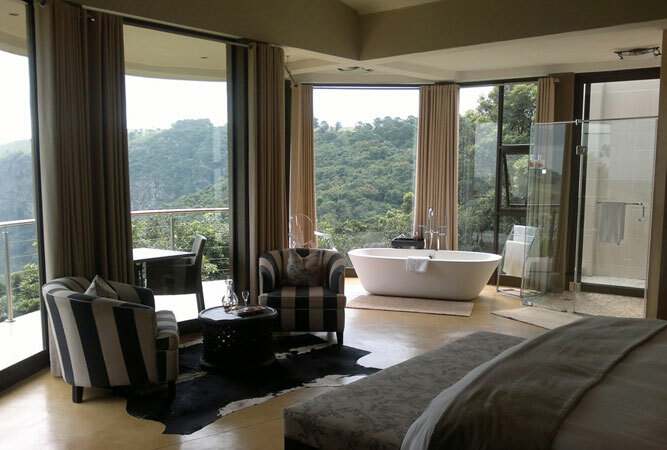 Extravagant views out over Oribi Gorge do not come better than this. Some of the windows are arranged so that not even a railing comes between you and the sheer magnificence of this relatively unknown part of the world, on KwaZulu-Natal’s south coast. Who said eco-friendly and opulence cannot mingle? 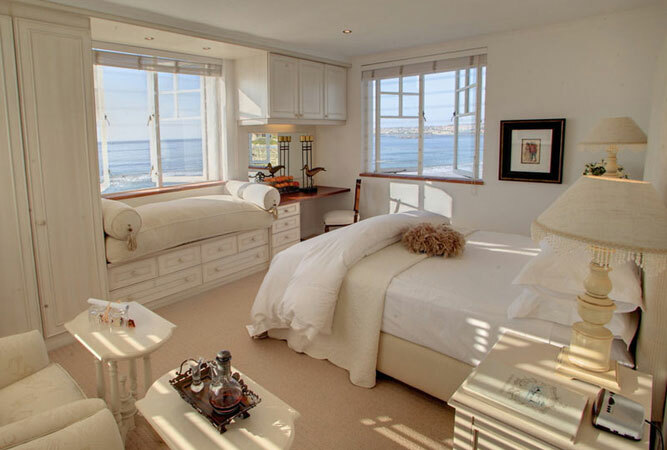 Unspoilt white sand beaches, rocky outcrops and views out over the sea are only part of the charm of Baywatch Penthouse in one of the oldest fishing villages along the West Coast. This is seaside living at its best. 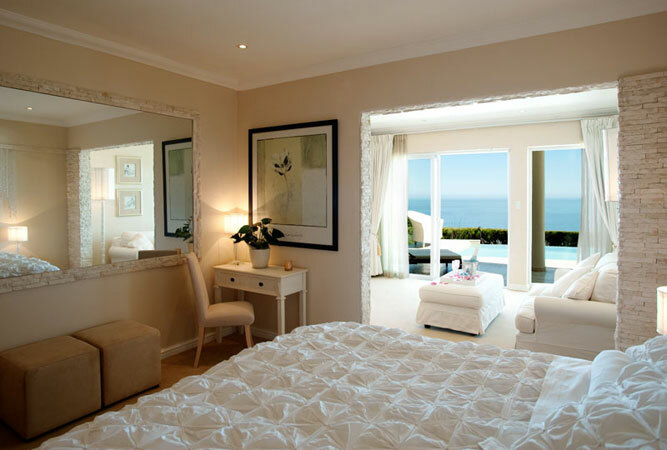 Experience the seclusion of Salt Rock from one of four spacious and luxurious bedrooms, each with an incredible sea view. Views out over the sea from the pool deck are only rivalled by the décor and the beaches. 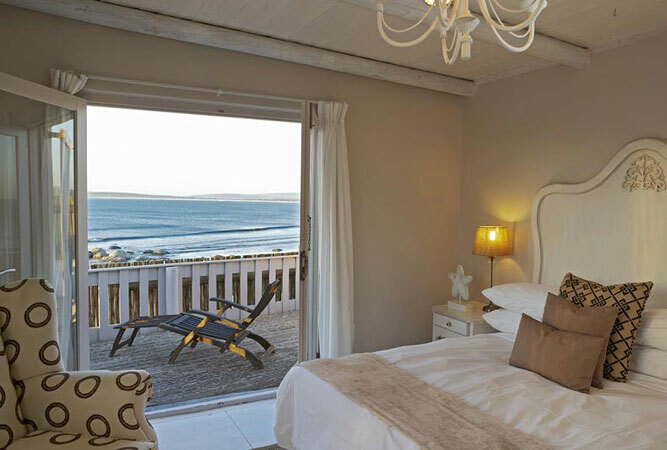 French doors open out directly onto views of the beach in this rather charming guesthouse virtually on the sand of the Wilderness. Only landscaped gardens lie between you and the waves, whilst a delightful white wooden walkway leads from the gardens onto the sand.